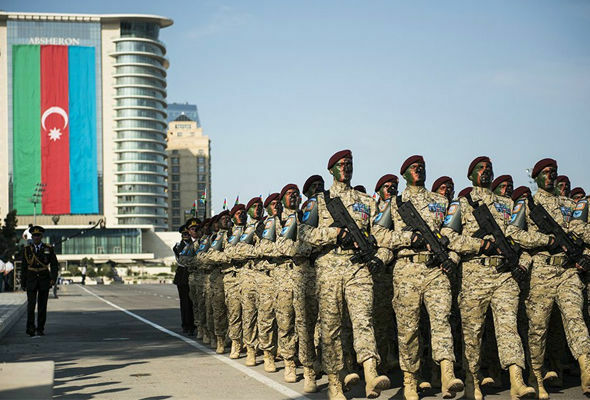 The Azerbaijani Armed Forces are the most powerful army in the South Caucasus, said in a new report prepared by the Global Firepower agency. For 2019, Azerbaijan ranked 52 (of 137) out of the countries currently considered for the annual GFP review. Another country in the South Caucasus, Georgia, ranked 85 and Armenia is on the 96th place. The US army is the most powerful army in the world, followed by Russia and China. India ranked fourth,France is fifth, Japan is sixth, South Korea is seventh and the UK is eighth. Turkish Army is the 9th strongest army in the world. It is the fourth in NATO, the third in Europe, and the 1st in the Middle East.The last country included in the top ten is Germany.